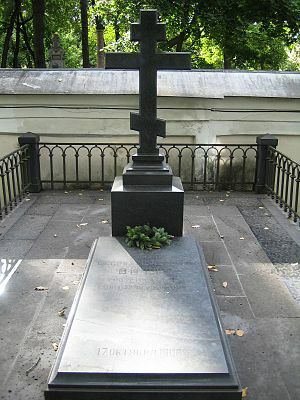 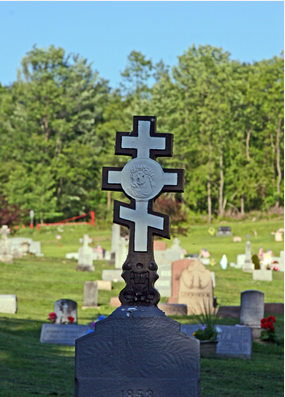 This unusual cross symbolizing the crucifixion of Jesus is used in Orthodox Christian religions (Russian and Greek) and was most likely introduced by the apostle Andrew who introduced Christianity to Russia. 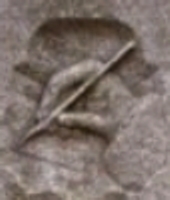 The upper horizontal bar represents the inscription over the head of Jesus. 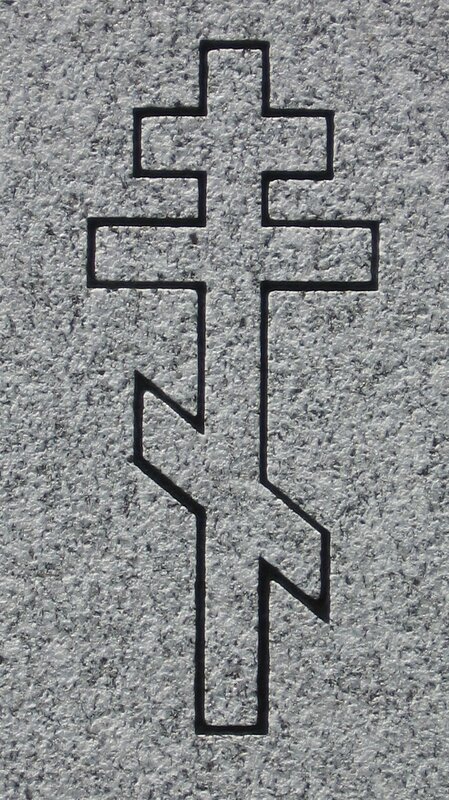 The Middle Bar is the board on which the Lord’s hands were nailed, and the slanting bar represents the footrest. 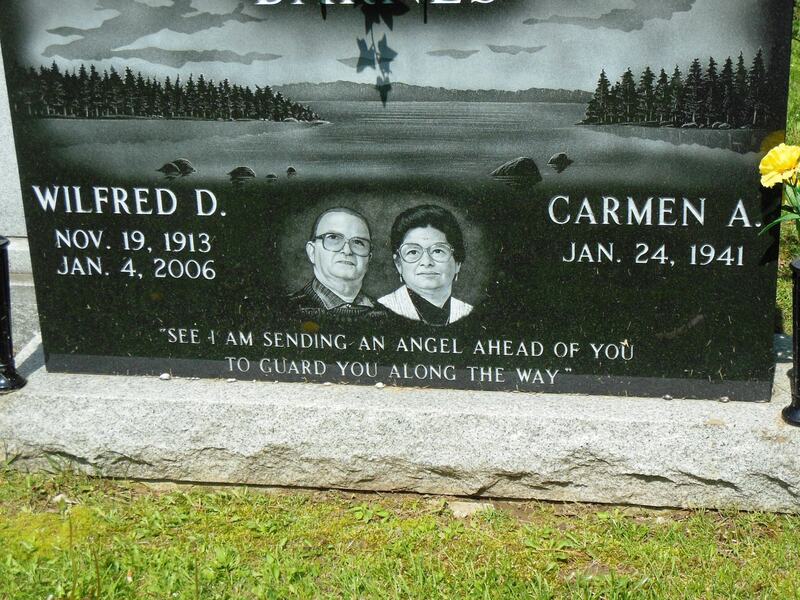 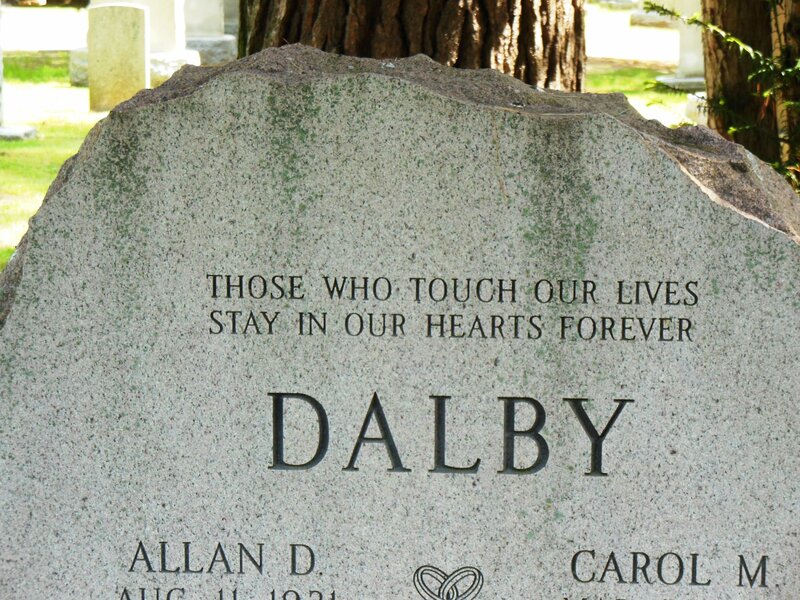 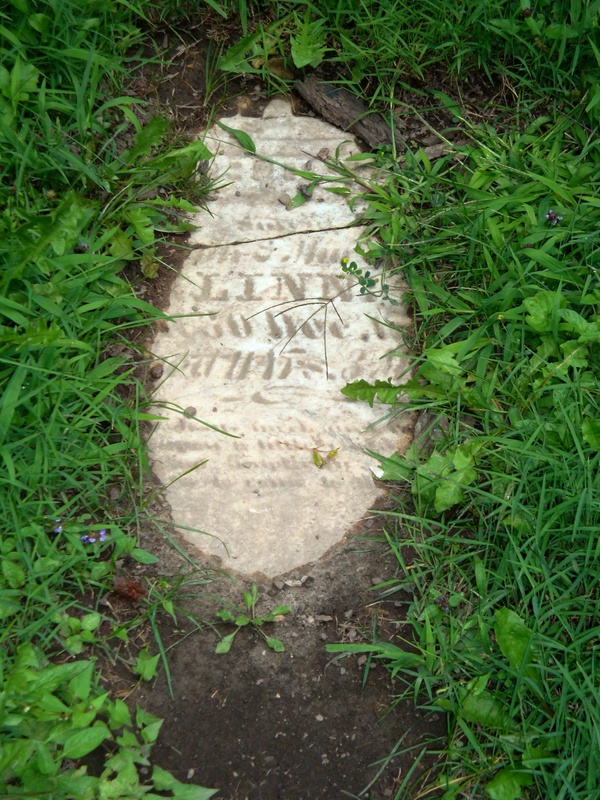 In Canada, many cemeteries are owned and maintained by local government while others are owned by private corporations. 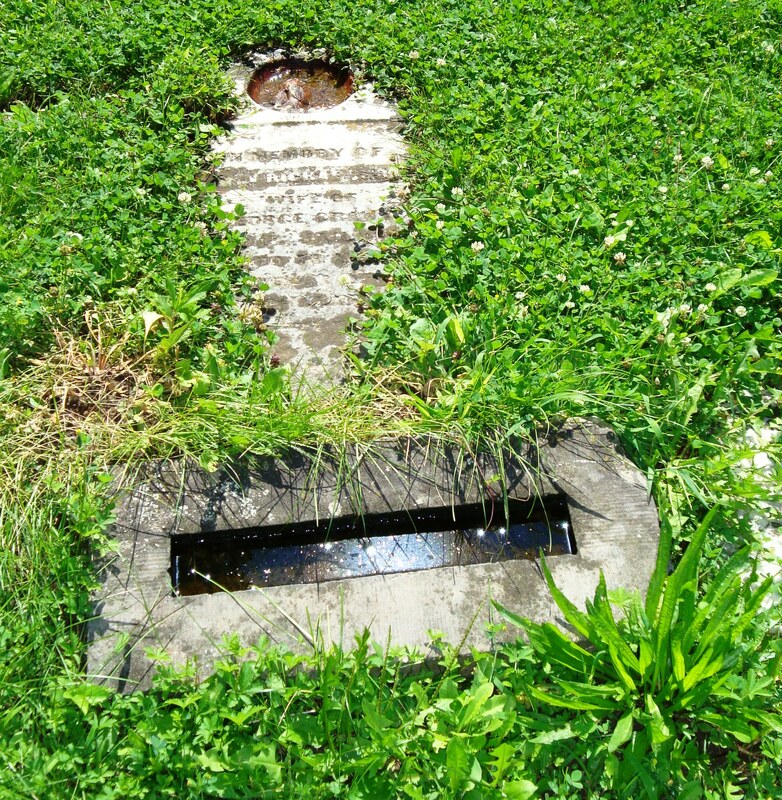 In the case of privately owned or non profit corporations, the municipality may take over the care and maintenance of the abandoned property if it is deemed unsafe. 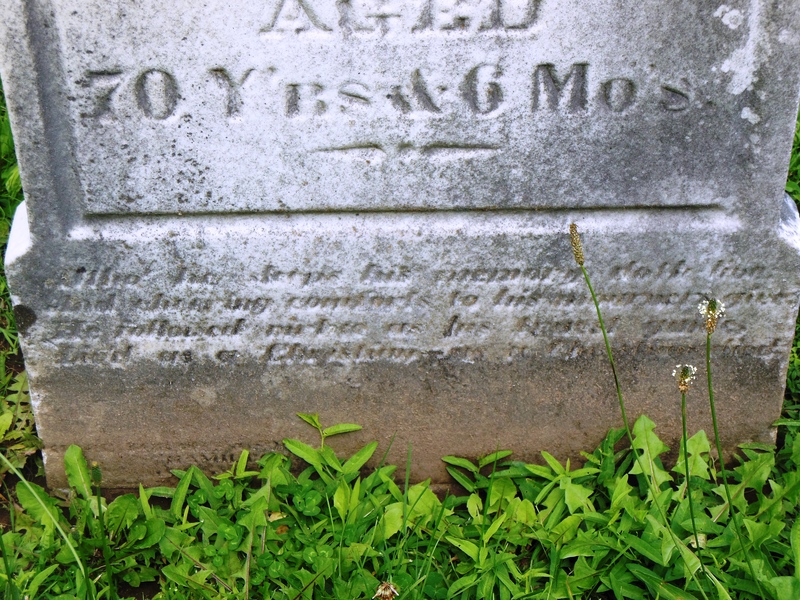 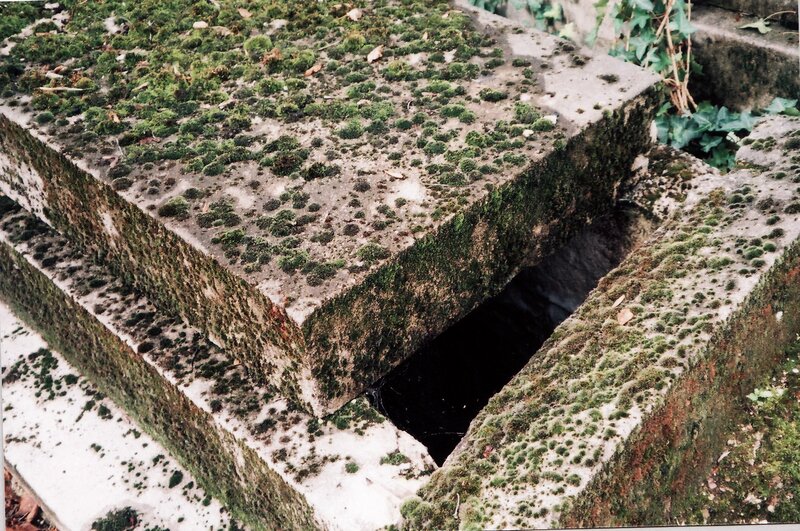 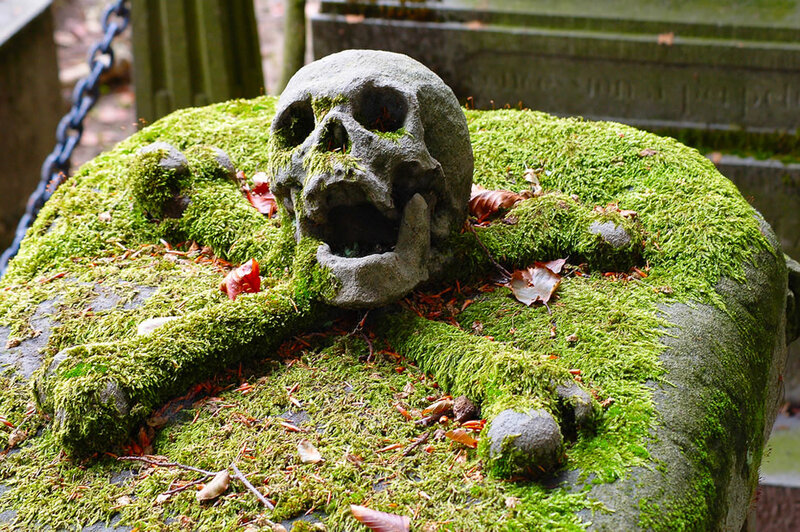 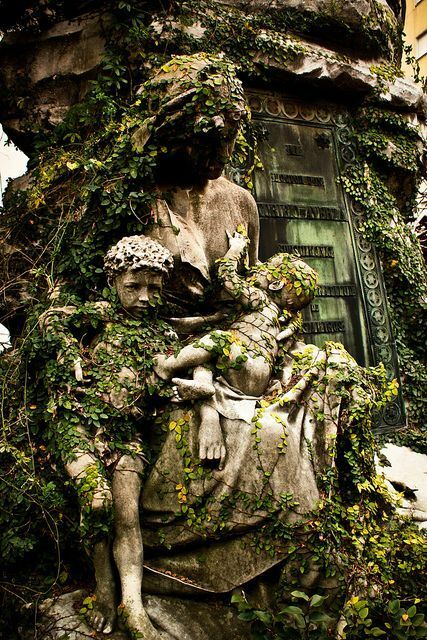 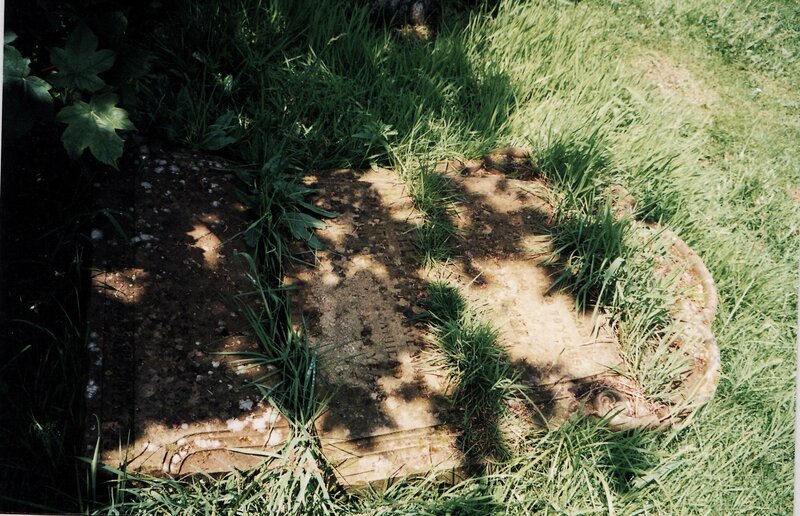 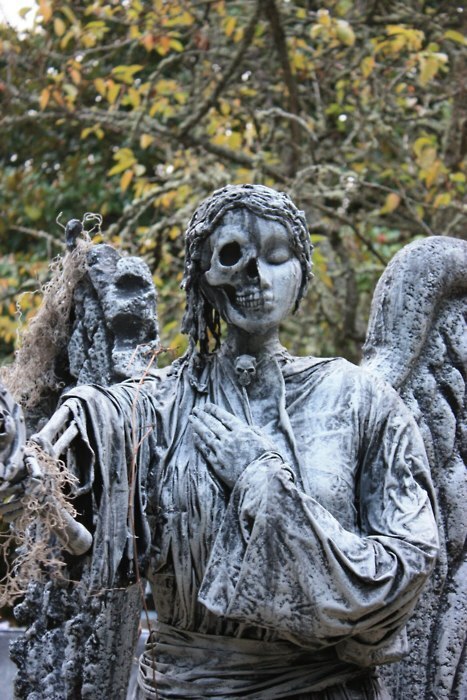 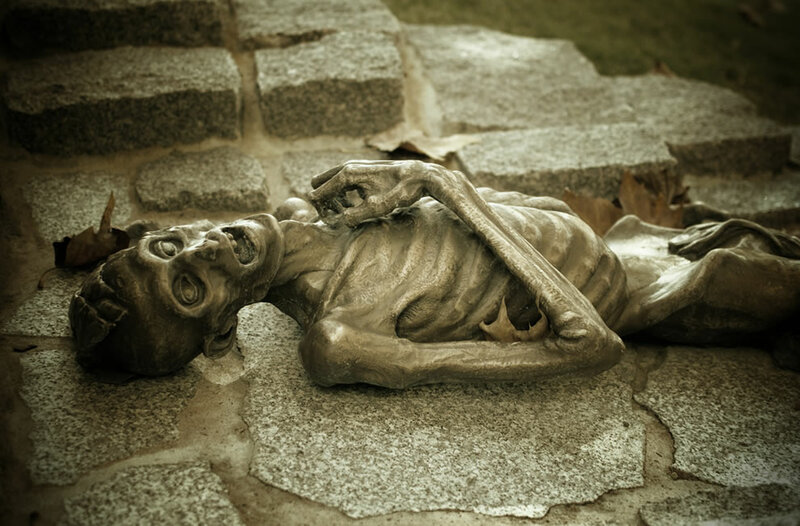 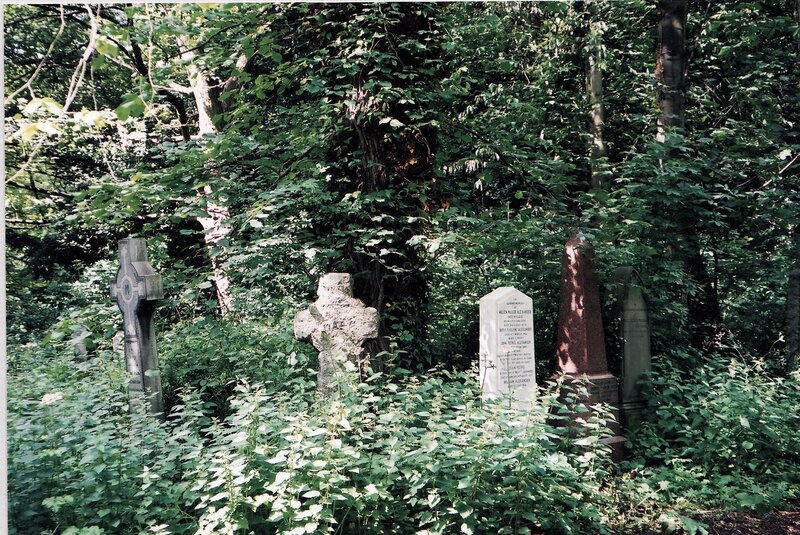 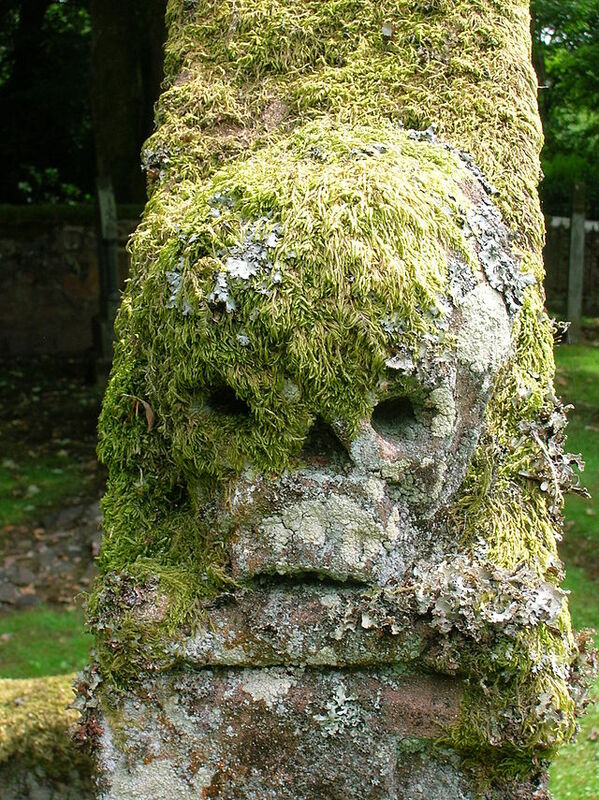 The term abandoned cemetery is universally accepted, yet the criteria differs within countries, provinces and states. 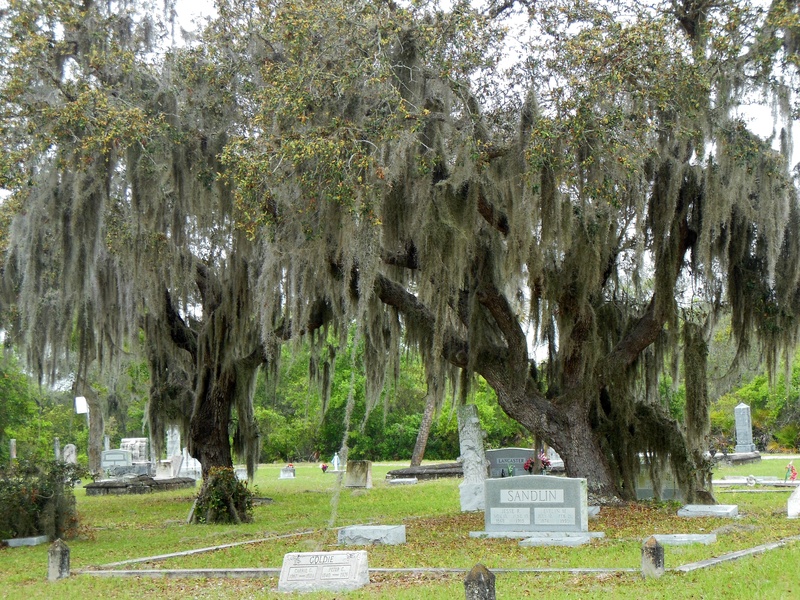 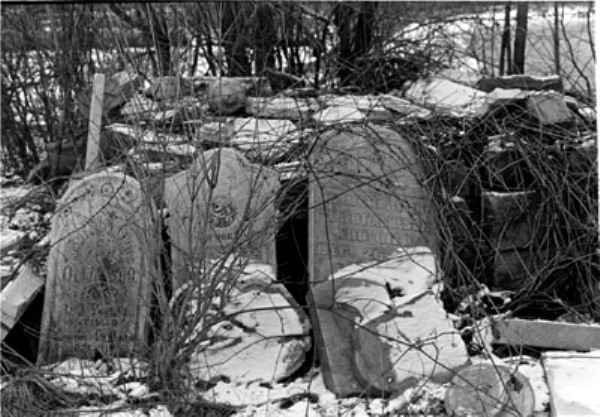 If a cemetery has not been maintained for a period (number of years varies) an ordinance may be enacted to declare it abandoned. 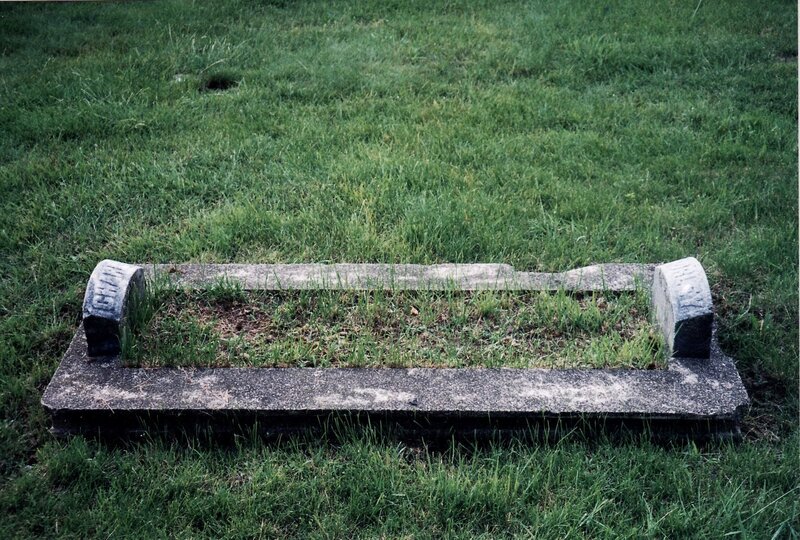 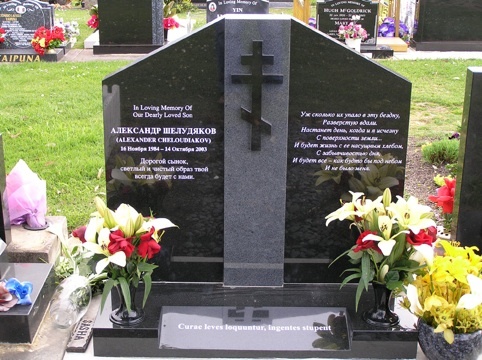 In North America, if cemetery land is purchased, the interred bodies must be removed and reburied elsewhere. 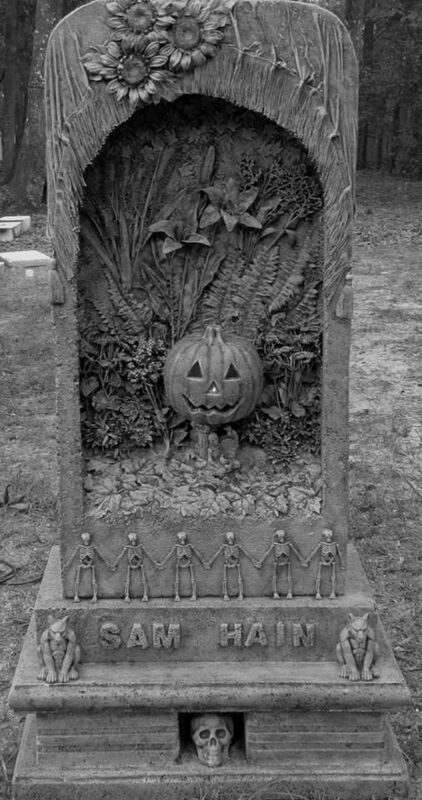 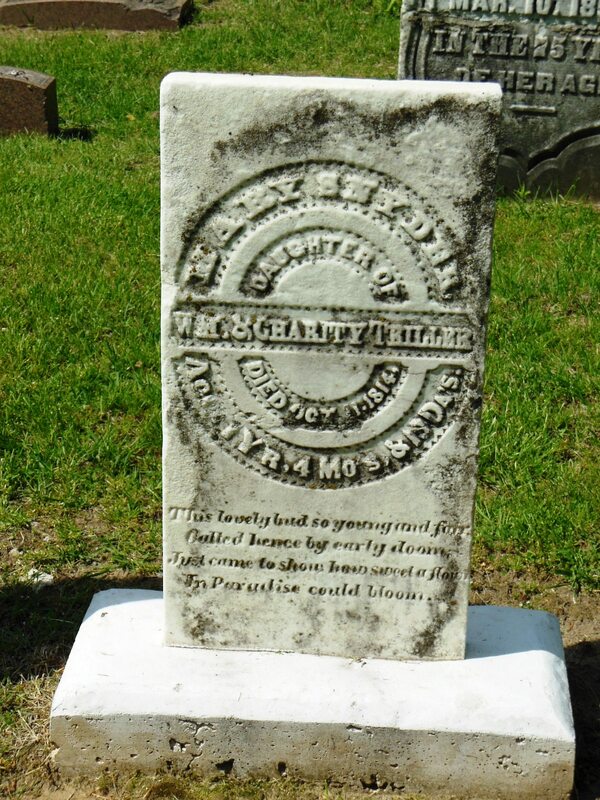 A land transfer is required; the next of kin of the deceased must be contacted; there must be an orderly removal of remains and reburial in an appropriate location including all gravestones, tombs and other markers which must be re-erected. 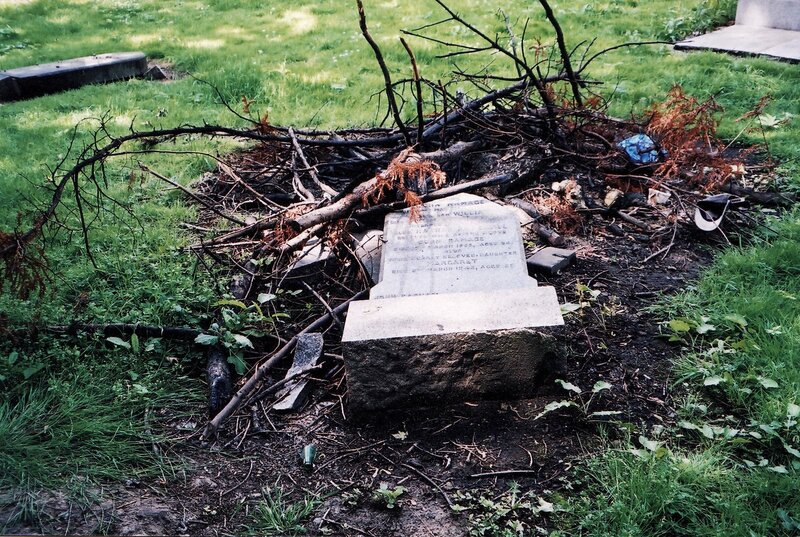 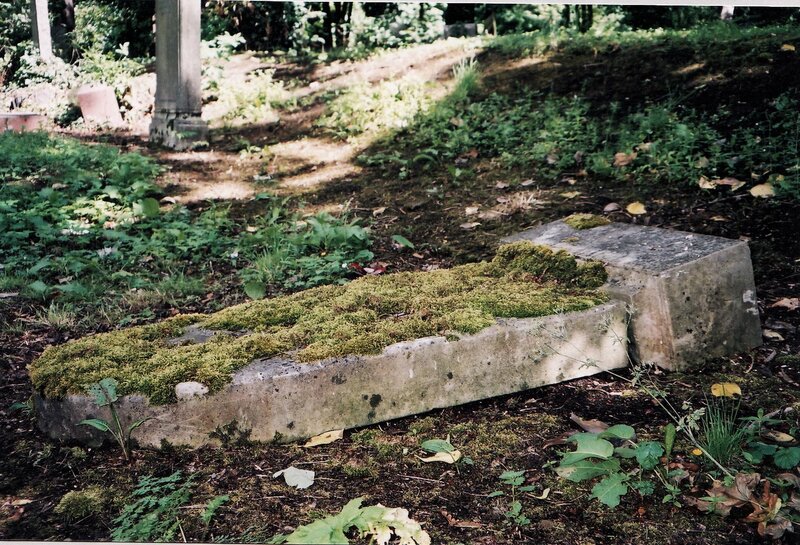 Section 60 of the Canadian Cemeteries Act states that once a cemetery has been declared abandoned and is registered as such with the appropriate land registry, the municipality becomes the owner of the property and is responsible for the ongoing maintenance of the grounds and its assets. 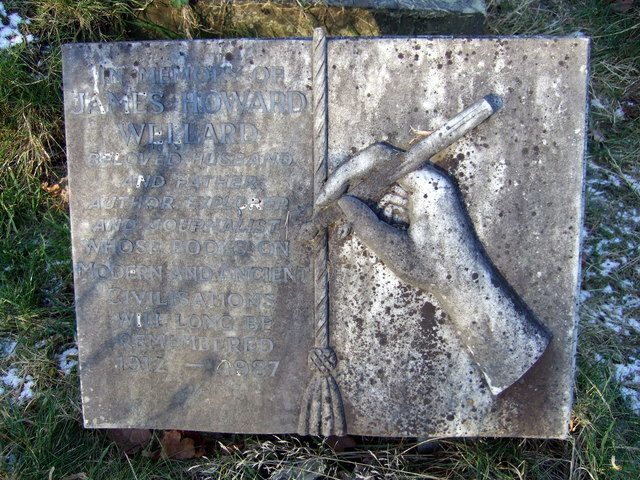 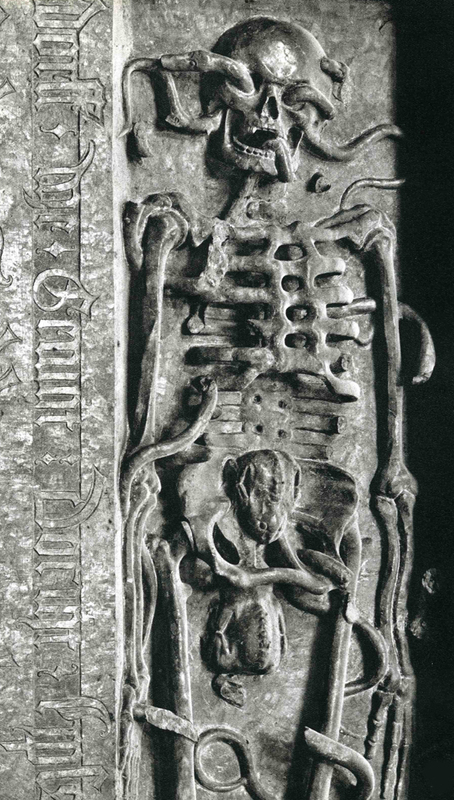 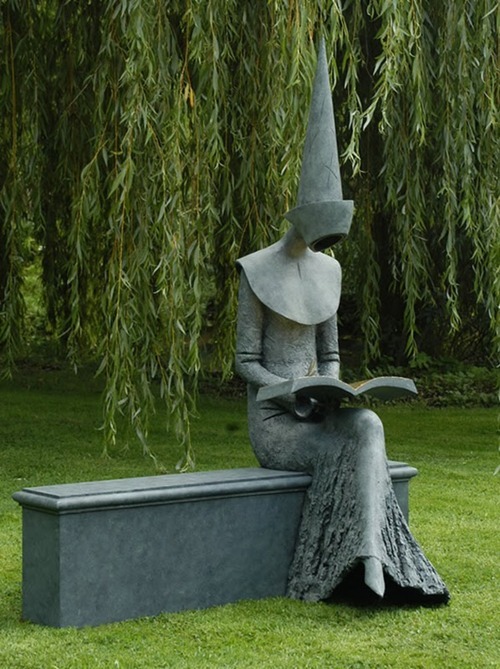 The sculpture of a hand writing symbolizes names being written in the Book of Life. 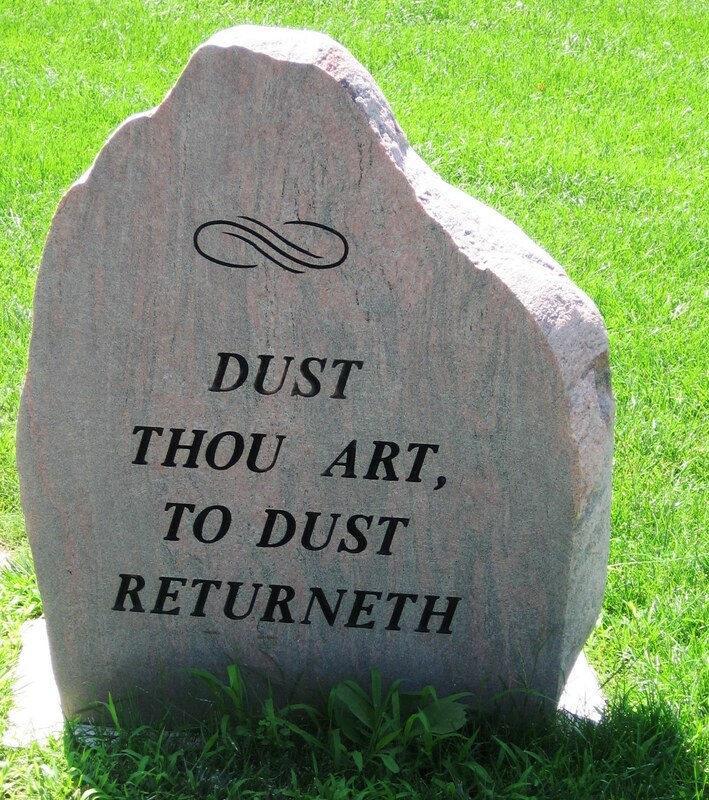 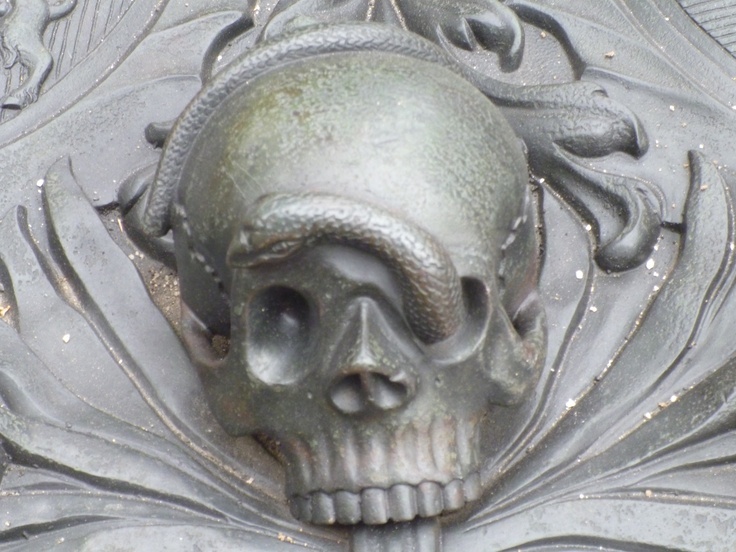 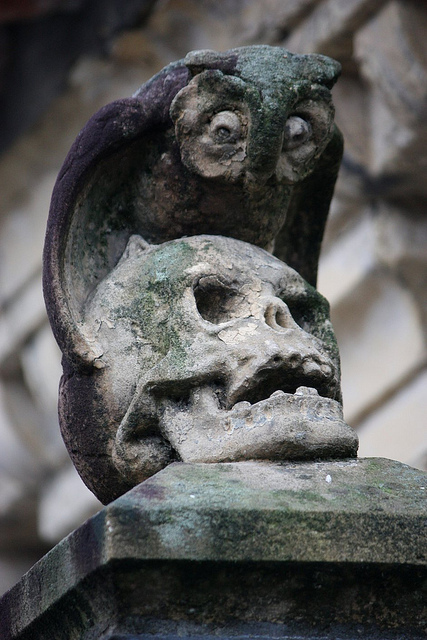 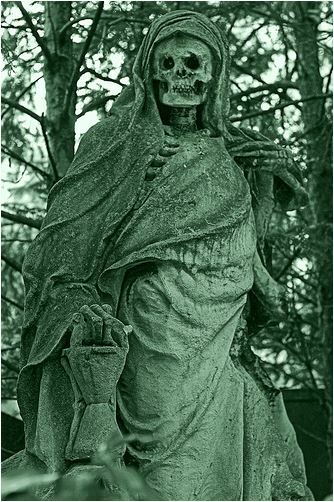 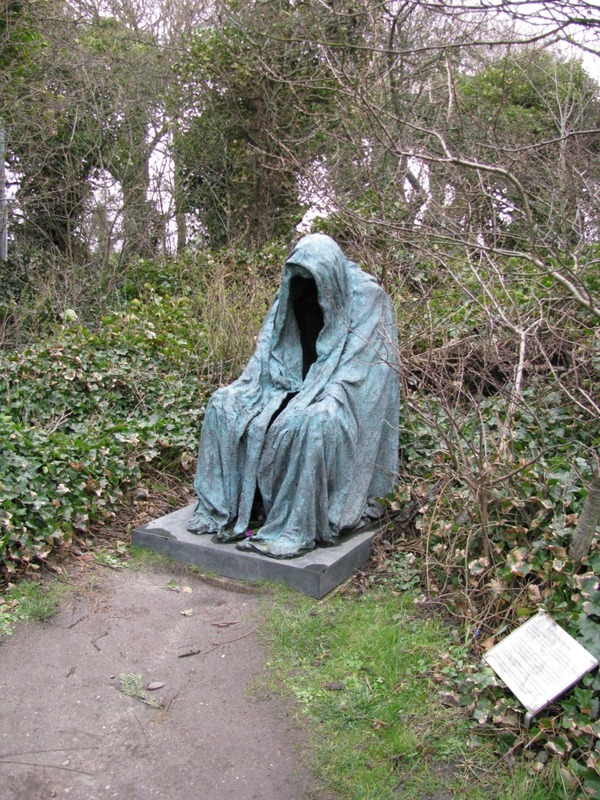 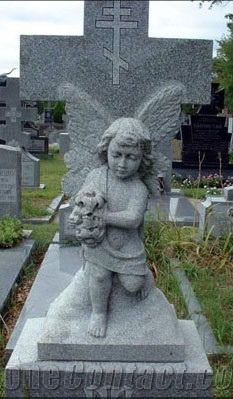 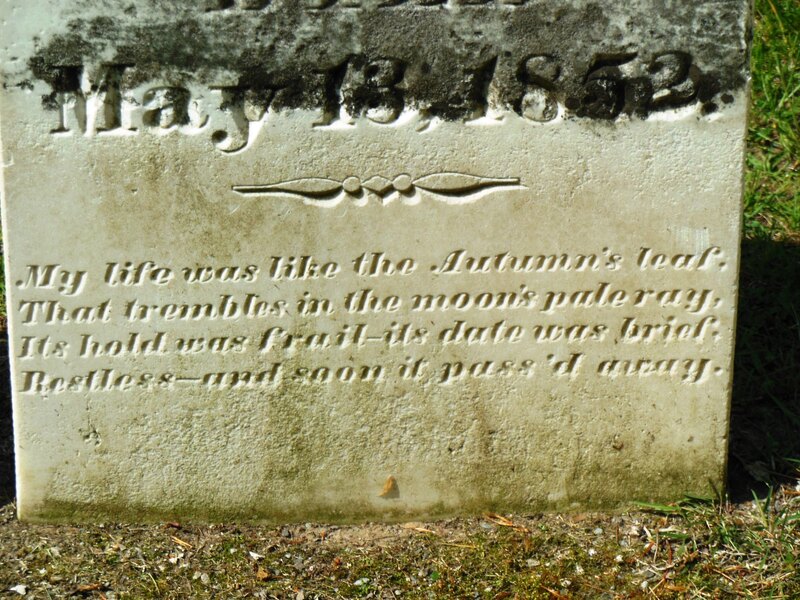 This image is also found on writers’ graves. 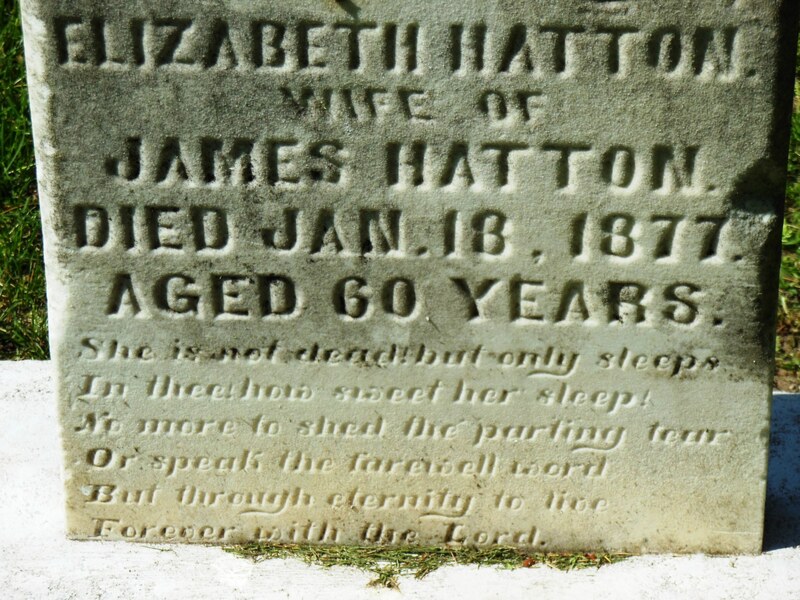 In thee how sweet her sleep! 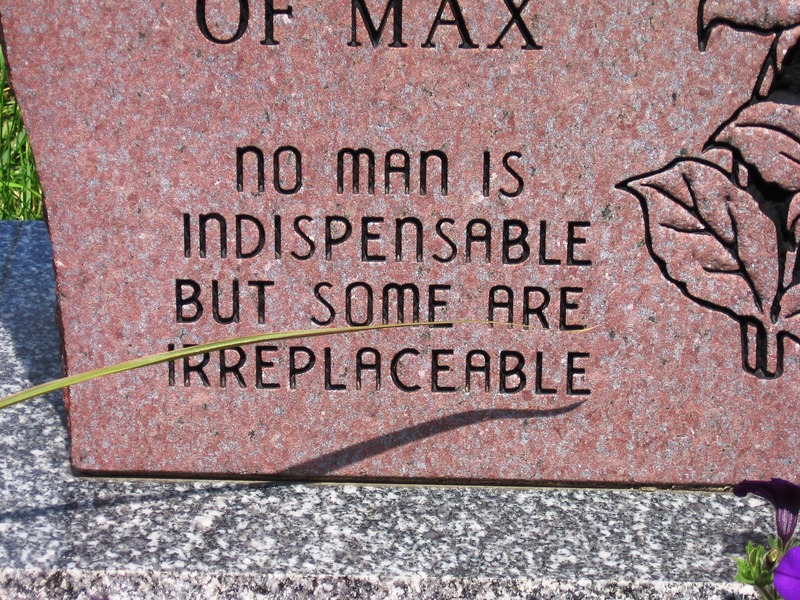 The following examples are clear and legible as is the message they relate. 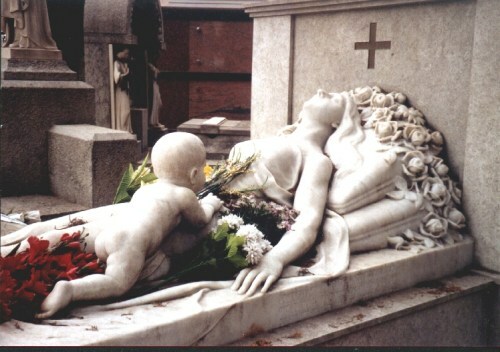 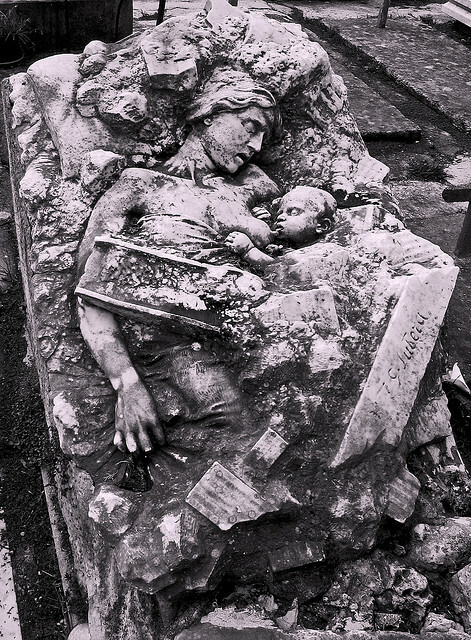 A cemetery monument dedicated to a mother and child who were found dead in an embrace under the rubble of the earthquake in Messina 1908. 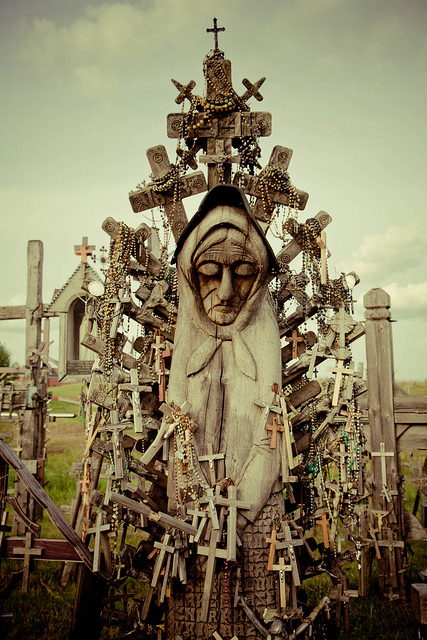 Hill of Crosses, near the city of Šiauliai, in northern Lithuania. 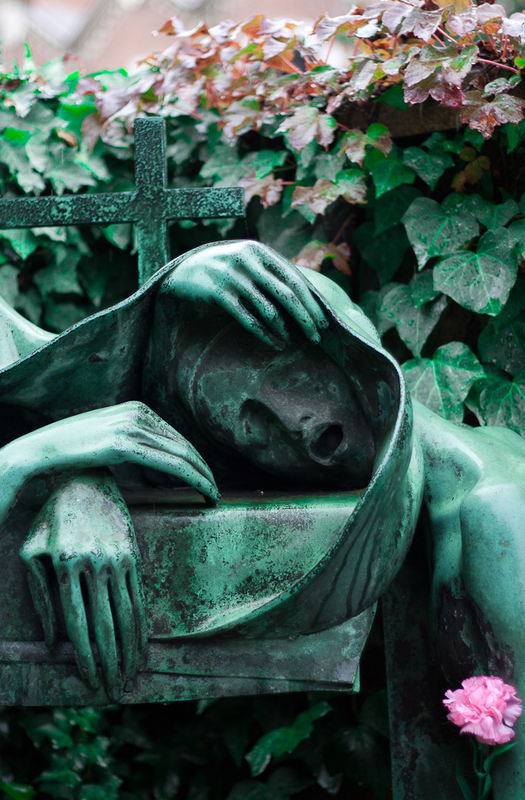 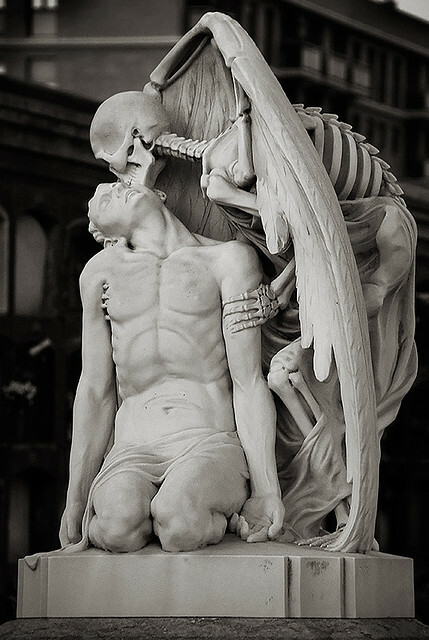 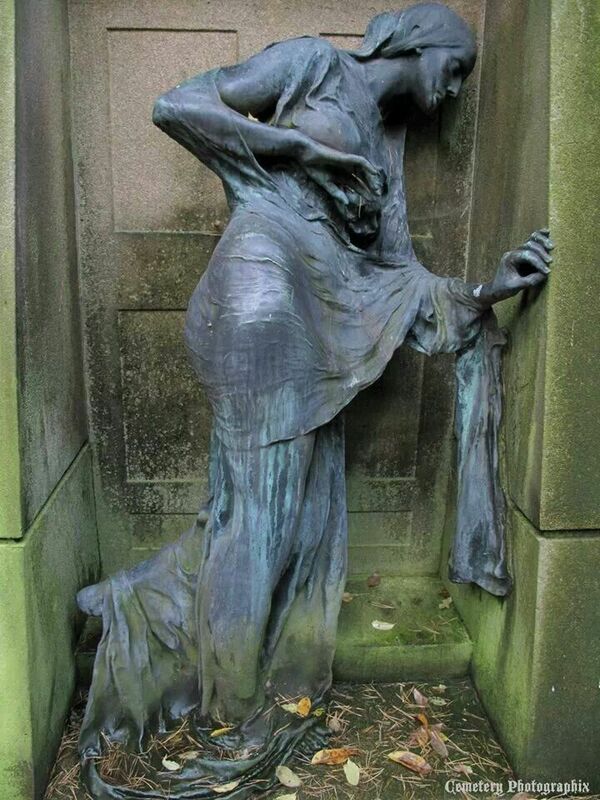 1930 sculpture titled Kiss of Death depicts death planting a kiss on a young man’s forehead.